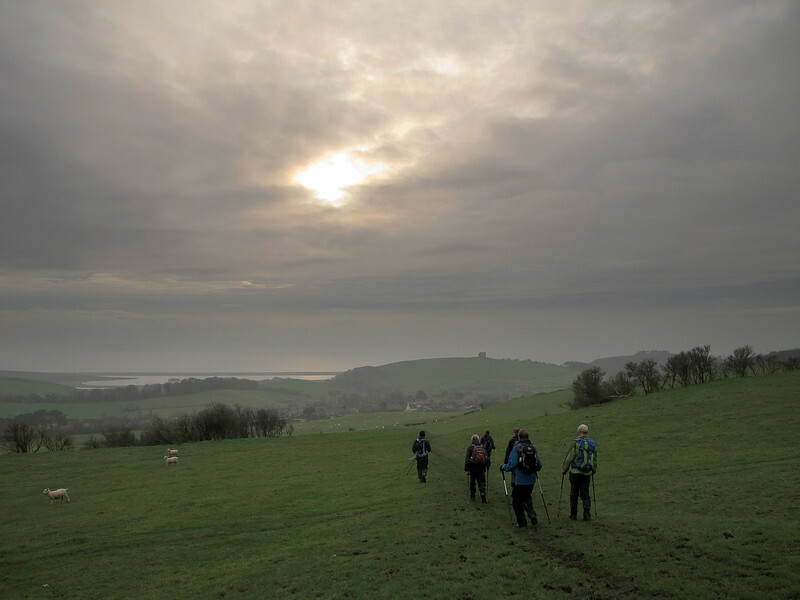 These are a few pictures taken on a very pleasant walk (thanks Bob) from Abbotsbury car park in Dorset with South Dorset Ramblers. The weather was cool, dry, overcast and misty with some brightness on occasions. Forecast rain failed to materialise thankfully. 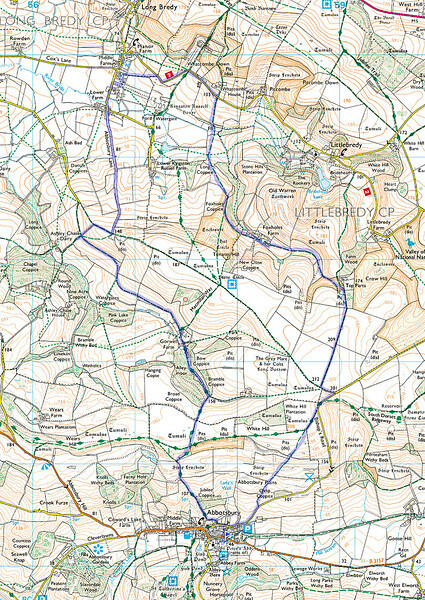 The route walked as recorded on my phone. The direction of the walk was clockwise. 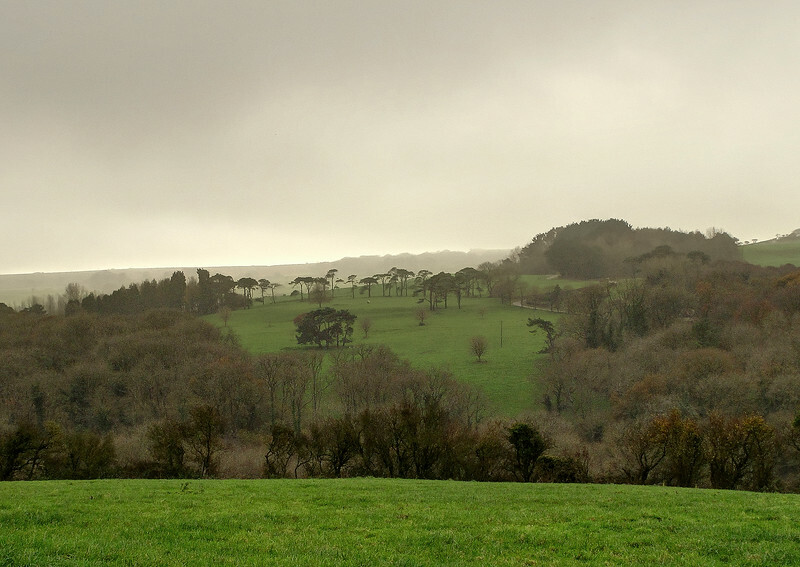 The view back from Jubilee Coppice, showing St Catherine's Chapel on Chapel Hill. The enclosed body of water to the left is The Fleet separated from the sea by Chesil Beach. 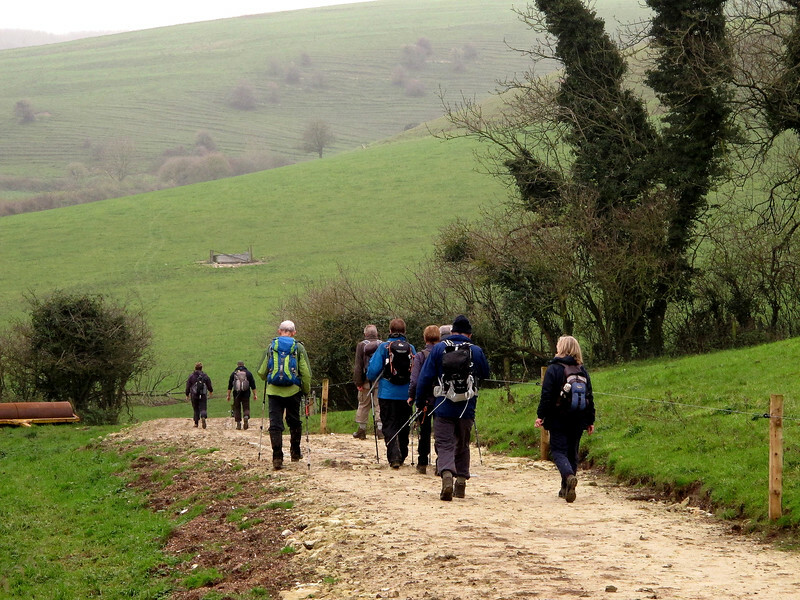 The group, 10 in all, trudge down towards Foxholes Farm. 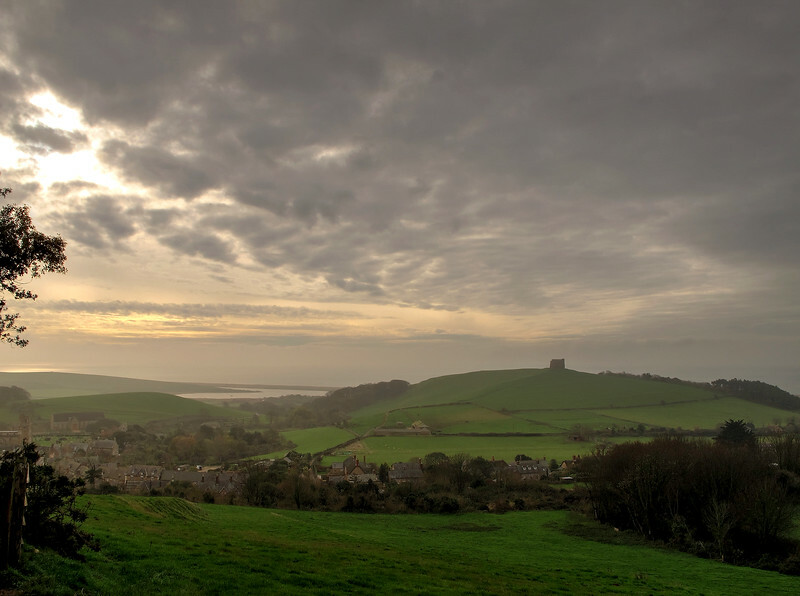 ...and back towards Abbotsbury again across Abbotsbury Plains culminating in a welcome pint at the Ilchester Arms.